This bright red painted shoebox was featured in the now sadly defunct, Ike Turner (of Ike and Tina Turner fame) Museum of Afro-American History. 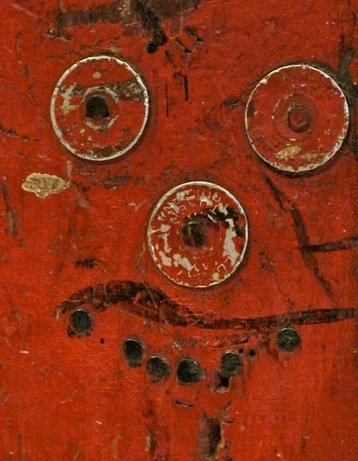 Another interesting aspect of this piece is the smiley face. At a quick glance it just seems like another attention-grabber, but upon a closer look you can see that it is made out of Louisiana welfare coins. Considering how welfare is associated with being poor and unhappy, this smiley face was making something positive out of the negative. It could have also been a way to draw customers in by showing how badly the shiner needed money.